The end of the world! Foynøya is a small, rocky island. Named after the Norwegian whaling pioneer Svend Foyn, it would hardly be known to anyone but a few Svalbard freaks if the airship Italia of Umberto Nobile had not famously crashed in the area on 25 May 1928. Six men disappeared together with a part of the airship that drifted away probably crashed a bit later (the survivors saw smoke in that direction). One man died on the main crash site. The remaining nine men were stuck on the ice. Amongst them was Nobile, who had broken a leg. The rest, including their rescue by the Russian icebreaker Krassin, is history. Many crews and volunteers tried to help and find the missing Italia crew. They went by boat, ship or icebreaker, others on ski and with dog sledges. Amongst the search parties were a team of two men, the Dutchman Josef („Sjef“) van Dongen and the Italian Gennaro Sora. They stranded on Foynøya on 04 July 1928 and had to spend nine days on that desolate island until they were rescued on 13 July by a Swedish aeroplane. 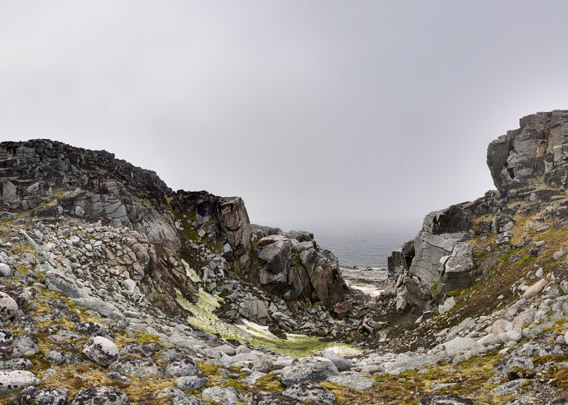 Foynøya is an utterly desolate and remote small island. 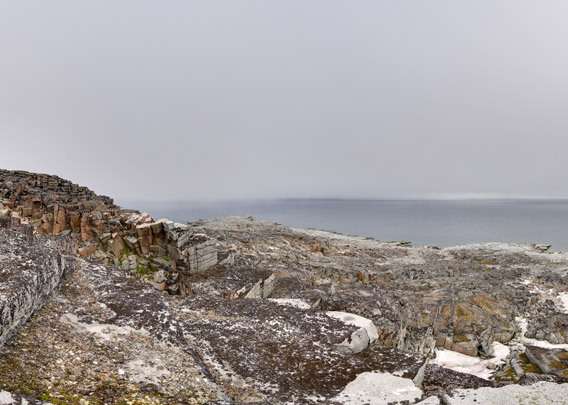 It is hard to land on the rocky shoreline, which is not sheltered at all and more often than not there is a polar bear lurking around. There is not much beyond granite rocks and some patches with mosses and lichens and some Black guillemots breeding on little cliffs.